Tropical and exotic fruits refer to fruits grown outside of the UK such as mangoes, papayas and coconuts. Bananas and pineapples also fall into this category but they are more common and sold readily in supermarkets so have lost their exotic status. Mangoes and papayas are becoming increasingly common in the UK as consumers demand a greater variety of fruit. Health-conscious shoppers are also buying exotic fruits that have been described as superfoods, such as mangoes because of their health-boosting properties. What’s Next for Exotic Fruits? Exotic fruits that could be in the supermarkets soon include cherimoya, a sweet, creamy, sub-tropical fruit grown in New Zealand. 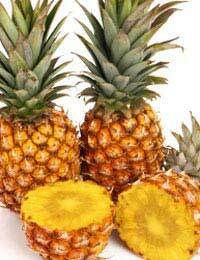 Its flavour has similarities to pineapple, papaya, passion fruit, banana, mango and lemon. There’s also the chikoo, native to tropical regions in and around India. This is a fleshy, brown fruit the size of a small tomato. Its flavour bears similarities to cinnamon, apple, and pear. Food miles are generated when polluting transport is used to produce, sell or buy food. Air-freighting food across the world is highly unpopular in green circles, and The Soil Association is considering removing the organic status of food grown organically, if it has been flown long distances to the UK to be sold. Food miles account for 1.8 per cent of the UK's CO2 emissions. Air-freighting food is increasing and most of the time food is freighted that could be grown in the UK. Flying strawberries from New Zealand to the UK for example, is both unnecessary and costly. Exotic fruits form an important part of a balanced diet however, and provide a tasty alternative to eat alongside fruit grown in the UK. There are plenty of exciting varieties to try, and plenty more recipes that call for the use of tropical fruits. Where can I get black sapote fruit from I the uk ? I'm afraid we can't recommend specific outlets. However, if you do an online search it may throw some answers up as it is becoming more sought after. Also, if you are prepared to wait up to seven years for the plant to bear fruit, you could grow the tree yourself! Happy hunting. @Rebecca - can you not buy directly from the USA and have them shipped? This website is so helpful for my homework.